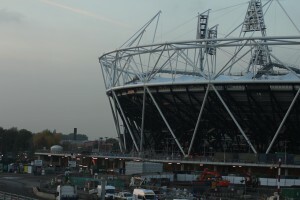 After London was announced as the host of the 2012 Olympic Games, Labour made a number of promises about using the Olympics as a way of inspiring people to be more healthy and get involved with sport and exercise. They planned to get a million more people playing sport three or more times a week and to get a million more people doing more general physical activity. Whether it is actually possible for mega events such as the Olympics to have this kind of impact is something which has been contested by a number of studies. The BMJ set out to find any study that had ever been conducted looking at the real-world health and socioeconomic impacts on places which have hosted major sporting events. From the 54 studies they found, there seemed to be no evidence to support the idea that events like Olympics have a positive effect on health or socioeconomic outcomes. One of the studies looked at the 2002 Manchester Commonwealth Games and found that sports participation fell after the games, and there became in an increased gap in participation between the rich and the poor areas of Manchester. Another study in Manchester suggested problems arose because voluntary groups were being excluded from using Commonwealth branding and the new facilities built for the event tended to only benefit professional athletes rather than the general population. The government now seems to be dropping any focus it had on its original plan to use the Olympics to get people involved with healthy activity and sport, probably having come to the realisation that they will never meet the large targets that they originally proposed. This goes to show that the government can make big claims when they are bidding to get these events but when it comes down to it, they don’t actually have to follow these claims through. This entry was posted in Olympics 2012 and tagged 2002 Commonwealth Games, athletics, city-building, Commonwealth Games, cultural change, exercise, government, health, London, London 2012 Olympics, London 2012 Rio 2016, London Olympics, London-Rio, Manchester, mega events, mega sporting events, Olympic Cities, Olympic Legacy, Olympics 2012, Participation, social change, Social Legacies of Mega Events, sports, urban development by adosini. Bookmark the permalink.